The earliest surviving screen adaptation of Bram Stoker's Dracula novel has had a long and dangerous life of its own. Almost destroyed by Stoker's widow because of copyright infringement, this film has outlasted many others of the silent era. There are many new releases of Nosferatu and all this goes to show that, "You can't keep a good vampire down." Silent film actor, Jack Hanlon passed away at the age of 96. 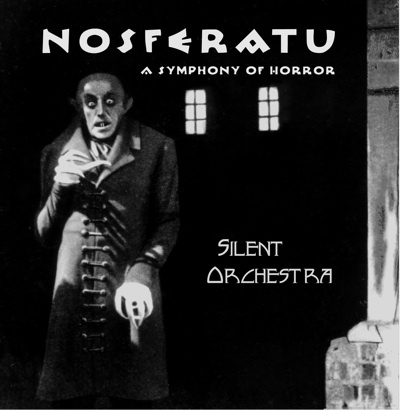 Silent Orchestra releases their acclaimed score for Nosferatu. Available now at iTunes, Napster, Amazon MP3, CDBaby and other fine stores. 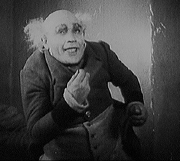 Review of Silent Orchestra's 2009 performance of NOSFERATU at the AFI Silver Theatre in Silver Spring, MD, USA. Stop the POTA "Everything about the score works perfectly with the film and being able to hear it live is an amazing way to see the film." Talk about the housing market, according to sources, the Bran Castle was recently restored and ownership transferred to a descendant of the Habsburg dynasty, rulers of Austria-Hungary. It is thought that Bram Stoker's Dracula character was modeled after Vlad the Impaler, a fifteenth century Romanian prince known for his sharp wit, pointed attacks and a generally bad temper. Some believe he was a frequent visitor to the castle and for that reason, it is commonly known as “Dracula’s Castle” in Romania.